The tiny homes, the way they are being planned by the working group, would cost $55,000 to $65,000, excluding the cost of the land or any site work like landscaping. Tenants would have yearlong leases, and the group is hoping that a local nonprofit would play the role of the landlord. Tenants would pay the utilities. 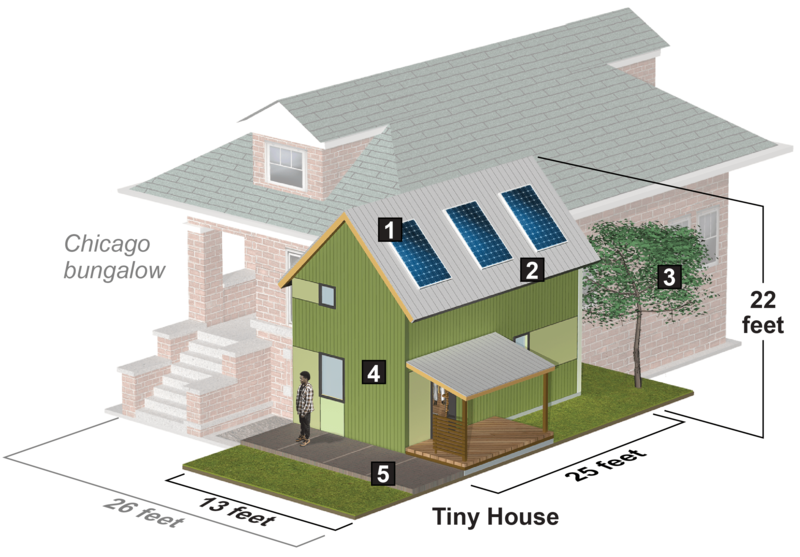 Next to funding, the biggest obstacle tiny homes advocates face is zoning. Chicago zoning attorney and Chicago Tiny Home Summit panelist Danielle Cassel said she ran out of sticky notes when logging inconsistencies between tiny home models and zoning code requirements. Multiple communities have had discussions regarding plans to house the homeless in tiny houses – see earlier posts here and here. But, it seems that their smaller size and lower cost are not automatically enough to overcome the issues that affordable housing generally faces. Namely, there are three concerns: (1) who will finance these units? (2) who is willing to live next to them? and (3) will enough units be constructed to make a sizable dent in the populations that need such housing? Take Chicago: while it isn’t as expensive as New York City or San Francisco, the cheaper land is in less desirable areas, zoning guidelines will have to be altered, and there is a tremendous need for cheap, durable housing. A cynical take is that several units or colonies will be constructed in a few Chicago neighborhoods and then touted as solutions. However, much would have to change for tiny houses to be a sizable solution for homelessness and affordable housing. This entry was posted in Sociology and tagged affordable housing, Chicago, homeless, tiny houses. Bookmark the permalink.